I made this a couple weeks ago and the family ate it right up! 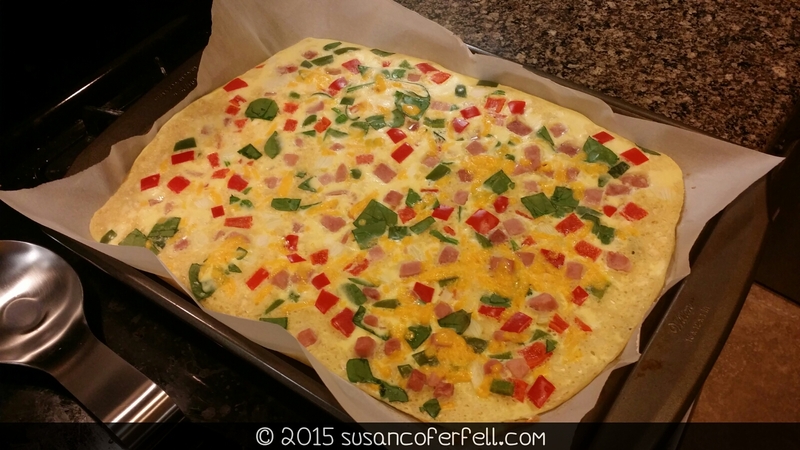 It’s so easy and quick…plus, who doesn’t love an omelet in the evening? 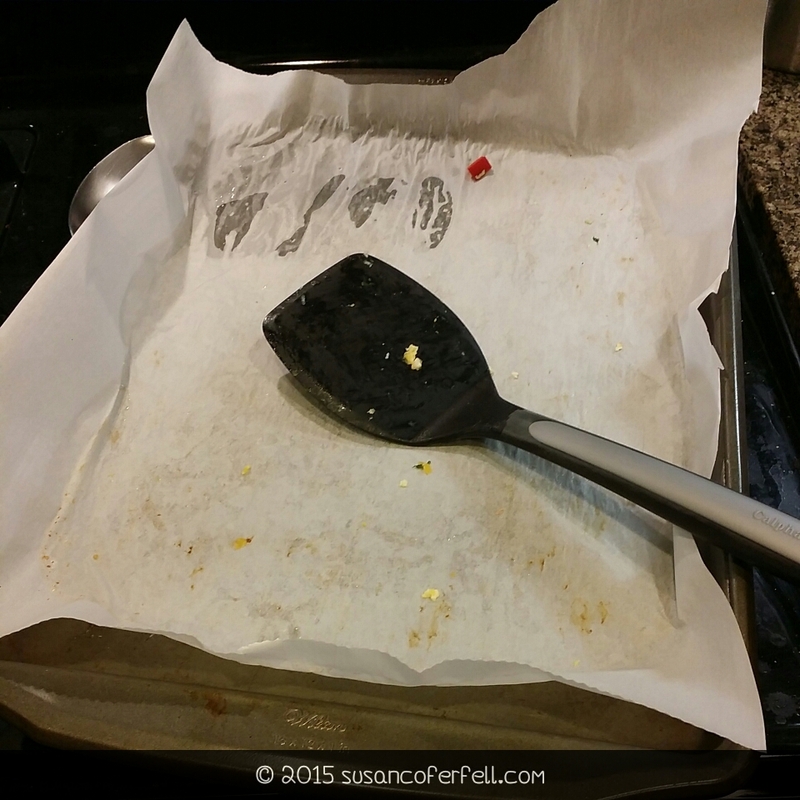 We’ve never had leftovers, but I’m sure it would not reheat well. 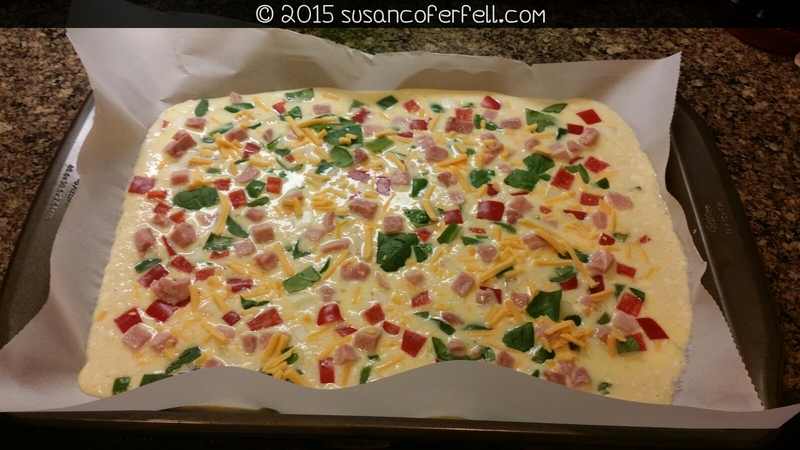 You can make this so many different ways with different meats and vegetables. 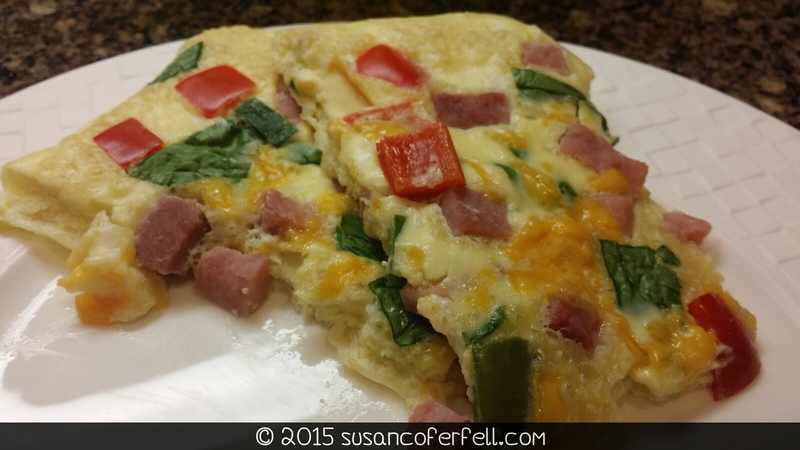 The Kid loves bacon, which would be absolutely delicious in this omelet…but, I hate the very act of frying bacon! This dish would also be fun to get the kids involved in the kitchen. You could use cookie cutters and make fun shapes instead of boring squares. 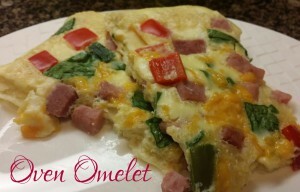 Or you could even divide the egg mixture and, using smaller pans lined with parchment paper, make individual omelets. That way each person can put exactly what they want on it. 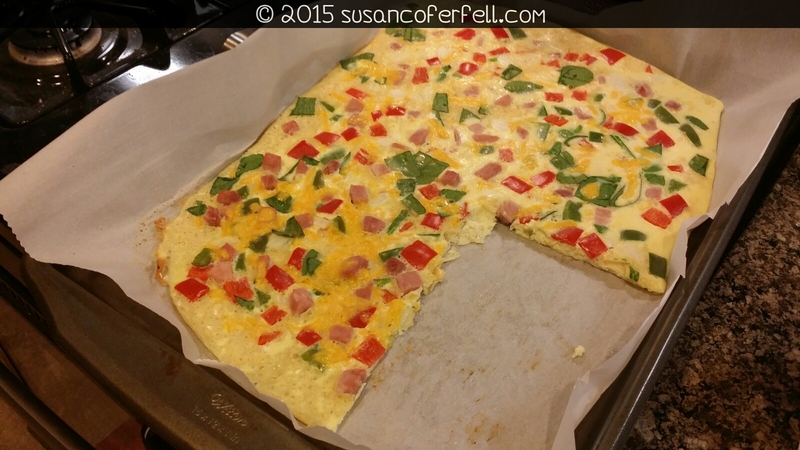 We may do that next time…I love getting the whole family gathered in our small kitchen to cook together!